"On Monday, Texas Secretary of State David Whitley visited his alma mater, Alice High School, to address the senior class on the importance of registering to vote and civic engagement. " "Texas Secretary of State David Whitley visited the Rio Grande Valley this week to meet with public officials, economic development organizations, and community leaders in order to strengthen relationships with local stakeholders throughout the border region." "Texas Secretary of State David Whitley today issued an advisory to county voter registrars regarding voter registration list maintenance activities, which include identifying any non-U.S. citizens registered to vote in the State of Texas." "Texas Secretary of State David Whitley today hosted a meeting with Texas Democratic Party Chairman Gilberto Hinojosa and Republican Party of Texas Chairman James Dickey to discuss ways to improve communication and efficiency in election administration in the State of Texas." "Texas Secretary of State David Whitley convened the 86th Legislative Session today, presiding over the opening ceremonies for the Texas House of Representatives and conducting the election of Texas' new Speaker of the House, Representative Dennis Bonnen." Originally published by Rania Combs. A man who was named independent executor in a Will called me. Someone told him that because he was named as the independent executor, he had the right to distribute Testator estate any way he wished. He was calling to ask if that was true. collect and inventory the testator’s assets; manage and safeguard the assets during administration; receive and pay the valid claims of creditors and tax collectors; pursue any claims owing to the estate; and distribute the remaining assets to the decedent’s beneficiaries as the testator instructed in the Will. An executor is legally obligated to follow the testator’s directions and may not change the beneficiaries of the will or how and to whom the testator’s property is distributed. In fact, executors have a fiduciary duty to protect the interests of the estate’s beneficiaries. The fact that a Will names an “independent executor” does not mean that the executor has the authority to disregard the testator’s wishes. It simply means that in carrying out the executor’s duties, the executor may act almost entirely without the supervision or control of the probate court. Originally published by Kyle Bailey and Beth Graham. Multinational technology company Google has reportedly announced it will no longer require mandatory arbitration of employee disputes with the company effective March 21, 2019. The company’s new arbitration policy will apply to Google employees as well as individuals who work for entities that exist under the Google legal umbrella such as the Access broadband unit and the DeepMind artificial intelligence program. The mandatory arbitration change will not, however, apply to other related companies that are owned by Alphabet but outside of the Google legal entity. Although the arbitration change will technically apply to the company’s temporary and contract workers, Google will not require staffing companies to alter their own employment contracts. The elimination of Google’s mandatory arbitration requirement came after a group of Google employees placed public pressure the company to back away from mandatory arbitration. Last November, a number of Google employees participated in a global walkout to protest the way Google handled sexual harassment claims filed against the company’s top executives. Following the walkout, Google and other leading technology companies such as Microsoft Corporation waived their policies for mandatory arbitration of sexual harassment claims. At the time, however, Google maintained its mandatory arbitration requirement for other employee claims. Google’s announcement means employees will now have the option of choosing to resolve any future claims against the company through either court or arbitral proceedings. Despite the policy change, Google will not reopen employee claims that have already concluded arbitration or have previously settled. Happy Friday and happy FFA week! I, like many of you, credit FFA for so much of my success in my life and career. I hope you take a moment to think back on what FFA has given you and think about ways you might be able to give back to the organization. This was me, being named New Mexico State Star Farmer in 2001. I also want to say a special welcome to those of you who are joining us after attending the Central Texas Farm Credit diner in Haskell this week. It was an honor to speak with you all and I want to welcome you to the Texas Ag Law Blog. Here are some ag law stories in the news over the past couple of weeks. *SCOTUS will hear Hawaii Wildlife Fund v. County of Maui case involving indirect discharges into groundwater. In what some are calling the biggest environmental case before the US Supreme Court this year, the Justices have granted cert in in the Maui case to address the issue of whether an indirect discharge, such as one made into groundwater the eventually reaches a jurisdictional water, is regulated under the Clean Water Act. [Read article here.] To read more about this issue and the cases that led to a split among the federal circuit courts, click here. *Comment period now open for new proposed WOTUS definition. On Valentine’s Day, the EPA and US Army Corps of Engineers published the new proposed WOTUS definition in the Federal Register. [Read published rule here.] That opened up a 60-day comment period during which anyone can comment on the published definition. After that period has closed in April, the EPA and COE will take the comments under consideration, make any revisions they deem necessary, and publish a final rule. For more information on the WOTUS rule, including a discussion of the differences between the 2015 rule and this new rule, click here to listen to my podcast episode with Jim Bradbury. Also, if you are interested in making a comment, the Maryland Risk Management Education Blog has compiled a list of the various ways to do that, which you may access here. *Digital asset considerations when drafting estate plans. I read an interesting article by attorney Sam Moak from Huntsville recently talking about the various problems that can come up when someone passes away and did not provide consideration to how digital assets should be dealt with. From keeping a password list (in a secure location, of course) to backing up emails to social media accounts, there are a number of items to think about when drafting an estate plan these days. [Read article here.] Also, to see how this can be a major issue in the real world, check out this recent news article. The post February 22, 2019 Weekly Round Up appeared first on Texas Agriculture Law. Big Picture Perspectives for The Final Weekend of Bar Prep: "See It–Do It–Teach It"
Governor Greg Abbott announced Thursday he has appointed former 14th Court of Appeals Justice Brett Busby to the Texas Supreme Court for a term set to expire on December 31, 2020. Busby’s appointment, which is subject to Senate confirmation, follows the retirement of Justice Phil Johnson in December. Originally published by John Floyd. Once considered a sacred cow, individual privacy has succumbed to governmental interference, especially in the area of how law enforcement cell phone technology to track and apprehend criminal suspects. A cell phone’s CSLI falls into two categories: “historical” or “prospective.” Most often, however, CSLI falls in to the historical category while GPS real-time information falls into the prospective category. The NACDL primer notes that law enforcement can use historical CSLI to connect a suspect to the location of a past crime allowing them to associate him or her to past incriminating events. Prospective location has a more immediate benefit—it allows law enforcement to trace the current whereabouts of a suspect in order to make an arrest. Texas’s version of these two federal statutes combined is Article 18.21 of the state’s Code of Criminal Procedure. On January 16, 2019, the Texas Court of Criminal Appeals (“CCA”) issued an opinion in Sims v. State dealing with the Stored Communications Act and Article 18.21. The Sims case dealt with law enforcement using real-time location information to track the suspect’s cell phone by “pinging” it without a warrant. That prospective information allowed law enforcement to locate and arrest the suspect. Sims sought to suppress this prospective real-time information because the search violated the Fourth Amendment to the U.S. Constitution, the Stored Communications Act, and Article 18.21. Whether suppression is a remedy for a violation of the Stored Communications Act and Article 18.21; and Whether a person is entitled to a reasonable expectation of privacy in real-time CSLI records stored in a cell phone’s electronic storage. 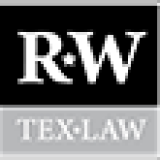 The CCA ruled that suppression is not a remedy for a violation of the Stored Communications Act and/or Article 18.21 unless that violation infringes upon the U.S. or Texas constitutions. As for the Fourth Amendment privacy issue, the Court concluded that under the facts of the Sims case the defendant did not enjoy an expectation of privacy to the real-time location information stored in his cell phone. The CCA pointed out that this legal conclusion was based on the factual difference between Sims and Carpenter. Law enforcement in the Sims case accessed “three hours of real-time CSLI records” by pinging the defendant’s cell phone less than five times while law enforcement in Carpenter accessed more than seven days of CSLI from the cell phone service provider. Chief Justice Roberts also confined the Carpenter ruling to the specific facts in that case as the Texas CCA did in Sims. Thus, it appears to us that the two courts are saying that brief intrusions on historical CSLI and/or GPS real time information do not violate the expectation of privacy guaranteed by the Fourth Amendment but extended surveillance in either or both areas of information violates an individual’s privacy rights. The post Ongoing Struggle with Cell Phone GPS and Right to Privacy appeared first on . In contrast, S&P Global found closer agreement between NOAA and state data in North Dakota, where the Bakken production occurs – but still under-reporting of flared volumes. North Dakota regulators have sought to reduce flaring and fine violators, planning to require producers who exceed allowed flaring levels of 15% of production to shut in their wells until pipeline infrastructure can be built to market the gas. 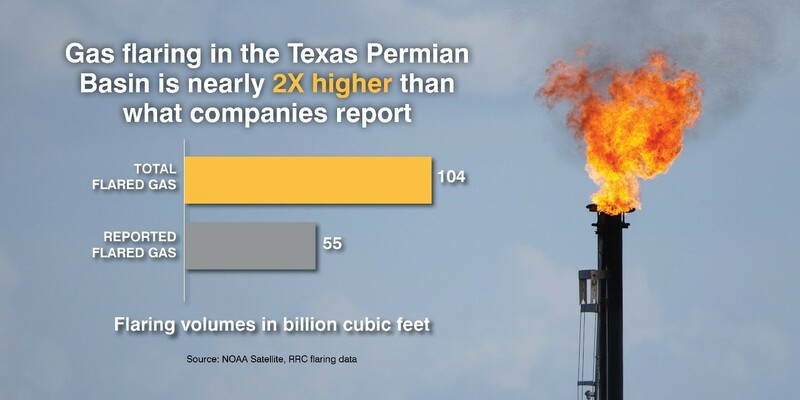 EDF’s report also analyzed flared gas on state-owned University Lands, more than 2 million acres in the Permian. University Lands collects royalties on flared gas. 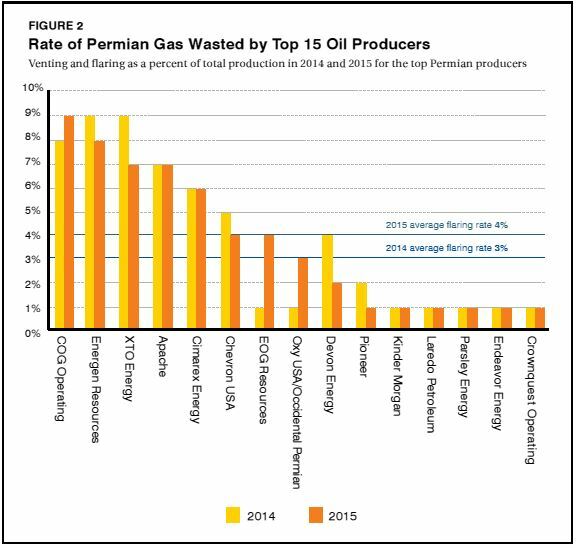 EDF concluded that UL has a lower rate of flaring on its wells – 2.75% – than the overall Permian average of 4.4%. A higher degree of lease management and the requirement to pay royalties on the gas flared likely correlated to better performance. Both EDF and S&P Global concluded that state regulators should incorporate NOAA satellite data into their regulatory oversight to identify violators. EDF also recommended that operators be required to pay state severance tax on flared gas. EDF’s other recommendations included requiring best flaring technologies, eliminating the duration of flaring permits, and encouraging technologies that capture the gas onsite. The post The KonMari Method to Effective Law Firm Marketing appeared first on Muse Communications. Originally published by Michelle O'Neil. Highly compensated individuals may have a laundry-list of deferred compensation awards going out over many years. Sometimes these compensation methods require negotiation transactions during a divorce that may or may not be legally permitted without full transparency. In most Texas courts, there are “standing orders” that automatically apply to every divorce that prohibit certain types of transactions. It is important to understand the marital assets in order to prevent the client from inadvertently violating one of these rules. Some types of non-cash compensation include incentive or employee stock options, employee stock purchase plans, and restricted stock options. Understanding the nuances of each of these types of awards is critical and hiring a financial expert may be warranted. Stock option exercise patterns vary but typically are exercises at least annually but can be as often as quarterly. Consider whether the client has the authority under the prevailing orders to exercise the options or execute a sale of the newly acquired stock. Having knowledge of the vesting schedule and marking the dates for discussion with the client may be critical to keeping the client out of hot water with the court. It may be necessary to preemptively file and set a motion for hearing to address these matters and get early permission to act. It may be necessary to have a plan and strategy in place to advise the client in the event of market volatility, especially if the client is heavily invested in one particular stock. Sometimes it may be easiest to seek spousal consent to the actions necessary to protect the marital estate. Reaching an agreement is usually less costly than litigating when possible. Hat tip to Vincent J. Fiorentino and Alexandra Mililli for their article 6 Ways to prepare clients with non-cash compensation in the Family Lawyer Magazine.